His trainer Gordon Elliott won both trophies last season and, with the 41-year-old expected to have at least ten runners in each race this year, he has a decent chance of repeating the feat. Alternatively, he could just head to ThumbsUpBonus, if he's looking for casino, slots or bingo, they’ve got it covered, on the lookout for the best bonuses. 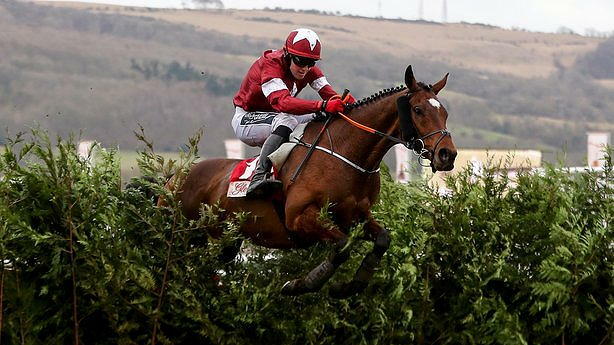 With Easter being late this year, there are two and a half weeks between Aintree and Fairyhouse, and there is the possibility of running some horses in both races, but he indicated that Tiger Roll’s Fairyhouse entry was more of a back-stop. In all, there are 110 entries for the €500,000 extravaganza and the highest rated is The Storyteller who has been allotted the top-weight of 11-10, with Tiger Roll given 11-09. Winner of the BoyleSports National Trial Handicap Chase at Punchestown last month, Dounikos has 11-06 with Out Sam set to carry 10-04. General Principle has been allotted 10-08, eight pounds higher than when he won it in 2018, with his stable companion and last year’s fourth, Folsom Blue being allotted 10-06. Ted Walsh, who was successful in the race with Commanche Court in 2000, puts up Any Second Now (11-00) fresh from landing the Kim Muir at this year’s Cheltenham Festival, while Paul Nolan’s Cheltenham second Discorama has been given 10-13. He ran a big race in the Grade 1 Drinmore Novice Chase at Fairyhouse in December. British-trained include the 2016 RSA Chase winner Blaklion (11-01) and Vintage Clouds (10-09) took second spot in the Ultima Handicap Chase on the opening day of the Cheltenham Festival and Big River (10-03) who was was fourth in the same race. Another one prominent in the antepost beting is the David Pipe-trained Ramses De Teillee who was runner-up in the Welsh Grand National in December and has been alloted 11-02.